Home → Handy Hints → Why Fixing a Leaking Tap Melbourne Is Crucial? Why Fixing a Leaking Tap Melbourne Is Crucial? Leaking Tap Melbourne is not only irritating but also indicative of deeper plumbing problems and an expensive waste. A leaking tap is far more complicated than you may think. As such, attempting to fix it yourself may even worsen the situation. Any attempt can potentially make Leaking Tap Melbourne repair cost you even more to fix it later. Melbourne 24 Hour Plumbing is your perfect plumbing company. A cartridge is a ceramic handle used to operate your water tap. When they start leaking, it is an indication that they whole valve inside your faucet needs replacement. Our plumbers will check closely to establish if they are the cause of your Leaking Tap Melbourne. We will then use our expertise to remove and replace it without further damaging the system. O-ring, typically located inside your tap handles, plays a crucial role. It provides a waterproof seal. When the O-ring is damaged, a leaking handle ensues. 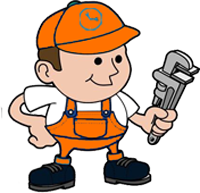 Melbourne 24 Hour Plumbing has everything to fix the resulting Leaking Tap Melbourne. We will perfectly replace the damaged O-ring with another of the right size. Corroded washers are the most rampant causes of Leaking Tap Melbourne mainly because these tiny pieces are prone to corrosion. If the problem started soon after initial installation, possibly your installer did not position the washer correctly inside the compression valve resulting in the leak. Once we establish that this is the cause of your leaking tap, we will use our expertise to reverse the situation. Even what appears to be simple Leaking Tap Melbourne requires a lot more than you can imagine. Our technicians take ample time to diagnose your system. They then use everything at their disposal to fix your system in the best way possible. We subject every leaking tap to a dedicated effort, careful utilization of specialized tools, and use of state-of-the-art technology to fix the problem once and for all. At times, a Leaking Tap Melbourne calls for an overhaul of the entire sink to effectively deal with the issue. Besides fixing your Leaking Tap Melbourne, we can also identify and repair all other faulty sections in your plumbing system. Several other components could be at various stages of deterioration. Sooner or later you may experience a different problem with the system. While repairing the tap, we will also check loose valves, minor pipe defects, and broken gaskets and accordingly make a recommendation to you. Save money and eliminate inconveniences by having your Leaking Tap Melbourne repaired by the proficient Melbourne 24 Hour Plumbing . While fixing the possible causes above may be simple, it is easy to damage other crucial sections or even incorrectly install the parts. We have the expertise, experience, and equipment to deal with your Leaking Tap Melbourne right the first time.